We are counted among the prominent Manufacturers and Suppliers of high quality Fabrics. The range of fabrics offered by us is known for their superior quality and comfort. The Fabrics are manufactured at our unit using the high grade yarns. They are endurable and are extensively used in the manufacturing of different kinds of Garments and Home Furnishing Items. Our products are also remarkable for their availability at the most discounted rates. We are one of the chief Manufacturers, Exporters, and Suppliers of Blazer Fabric in the market. The Blazer Fabrics supplied by us light in weight and are accessible in different colors, designs, and attractive designs as per the requirements of the clients. They are woven by high quality Wool and Nylon yarns. We bring forth the best quality Melton Fabric in the marketplace. Melton Fabrics are tightly woven fabrics which are heavily felted. The Melton Fabrics offered by us are dense with a sheared nap giving smooth surface. Melton Fabrics are manufactured from the best quality woolen yarns and are very worm in nature. We present the finest quality Plaid Fabric in the market. 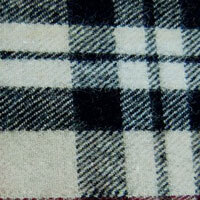 The Plaid Fabric is made of checkered material called tartan. The Plaid Fabric offered by us available in plain gray, or gray with black stripes. 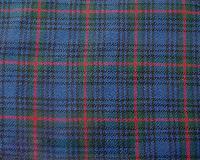 We use the best quality yarns to weave Plaid Fabrics making them endurable and long lasting in nature. 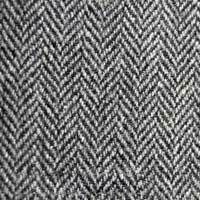 We offer the best quality Herringbone Tweed Fabric that is used in a number garments. Superior quality threads and yarns are used to manufacturer Herringbone Tweed Fabrics. The Herringbone Tweed Fabric offered by us has soft texture, attractive designs, and catchy color patterns.